"Virginia visited the lunches of the LMHS Class of 1951 with..."
"I am saddened to hear of Virginia's passing. Virginia and..."
"We are so sorry for your loss. Larry Devers, Las Cruces,..."
Virginia Rae Penny of Lawrence, KS, born Virginia Rae Alburty on October 13, 1929, in Joplin, Missouri, passed away on Friday, August 24, 2018, at Lawrence Memorial Hospital, Lawrence, KS. A private burial service was held on Monday, August 27. A public Celebration of Life service is planned for Saturday, October 20, 2:00 pm, at First Christian Church, 1000 Kentucky, Lawrence, KS. 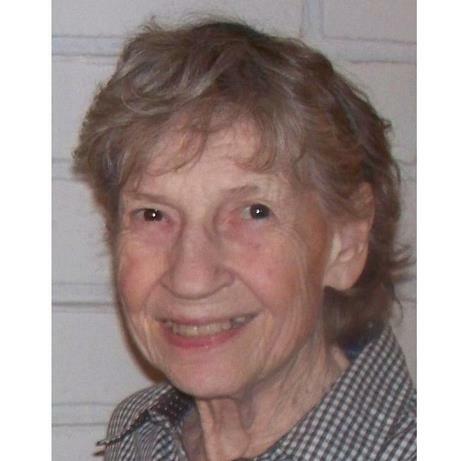 She attended grade schools and junior high schools in Pittsburg, Eldorado, and Russell, KS, as her father changed his employment during the Great Depression and in wartime. The family moved from Russell to Lawrence in 1946 when her father was transferred to be manager of the B.F. Goodrich store. She graduated from Liberty Memorial High School in 1947 in Lawrence, KS. Virginia developed an early talent for piano accompaniment for musicians younger and older than her, and also accompanied her older sister Maxine, who became a professional violinist. Much of Virginia's life centered around music and church activities in the places she lived. In college years, Virginia met Paul Baldwin Penny of Lawrence and corresponded with him while he attended Bethany College in Lindsborg, KS, before marrying him on November 20, 1949. She joined Sigma Alpha Iota music sorority, but interrupted her college education at the University of Kansas to raise five children. She joined the Lawrence Music Club in 1951 and remained a member until her death. Shortly after Paul received his Fine Arts degree from the University of Kansas in 1952, Paul and Virginia moved to Wichita, KS, so that Paul could work at Boeing Aircraft. They later moved to a farmhouse east of Lawrence when Paul began working for his father's concrete business. Then in 1956, they moved to Lecompton, KS, where Paul managed his father's rock quarry. Although a busy homemaker, Virginia found time to play duets with a friend, teach piano, and reactivated the boy scout troop (which her four sons joined). She wrote a song for the 1961 Kansas Centennial, Kansas We Belong To You, that aired on the radio. The family moved back to Lawrence in 1968 when Paul decided to devote more time to his interest in oil painting. Virginia worked various jobs at the University of Kansas as an office manager. One of those jobs was for the Dean of Foreign Students. Once the children were grown, Virginia resumed her education receiving Clairol's You Are Not Getting Older, You're Getting Better scholarship. She proved that to be true when at age 49 she was cast as one of the "girls" in KU's production of South Pacific. Subjects such as music composition and jazz piano lessons from a renowned musician expanded her musical skills and gave her joy. She received her Bachelor of Music Education degree from the University of Kansas in 1979. After that, she began working as a piano teacher in area school districts, continued to teach piano lessons and wrote a few more music pieces, mostly as a hobby. Virginia also participated in community theater and was hired as an extra in at least one TV/movie production that was filmed in Lawrence. Paul and Virginia lived the rest of their lives in Lawrence, and attended First Christian Church regularly, where they were members. Virginia will be remembered as a devoted parent, a kind and generous person, and a loyal friend. She was preceded in death by her father, Virgil Alburty, her mother, Golda (Parker) Alburty, and her beloved husband of nearly 68 years, Paul Baldwin Penny, on October 28, 2017. She is survived by her brother, William H. Alburty and his wife Betty, Leawood, KS; her sister, Maxine Madden Spencer, Fresno, California; her sons Alan Penny and Michael Paul Penny, Lawrence, KS; her son Gary Penny and his wife Rita, Central, Utah; her son Christopher Penny, Lecompton, KS; her daughter Melissa Swanson and her husband Ed, who work with Wycliffe Bible Translators in Oaxaca, Mexico; six grandchildren; and three great-grandchildren. Memorials may be made out to "Virginia Penny Memorial Fund" (Memo: For the family) or "Lawrence Music Club" (Memo: Virginia Penny Memorial) for benefit of the Music Education Endowment and may be sent in care of Warren-McElwain Mortuary, 120 W. 13th Street, Lawrence, KS 66044. For more information or to post a condolence, please visit warrenmcelwain.com.